Whether you're in private practice already or are considering it on a part-time basis, this webinar will provide essential tools and insight necessary for success. Susan will address the tools and techniques required to ensure positive patients outcomes while maintaining financial solvency. Specific topics include the nuts and bolts of creating an appropriate practice environment, managing overhead costs, establishing a strong referral base and pricing strategies. The concept of bolstering one's self confidence will be prevalent throughout. If you are an RDN looking to supplement your income, and interested in "exciting" assignments, this webinar is for you! Name 3 advantages to owning and operating a successful nutrition private practice. Discuss 3 reasons your private practice may benefit from using EHR (Electronic Health Records). List and describe 3 referral sources for your private practice. Discuss the importance of time management when owning and operating your own private practice. Discuss 3 specific methods to "boost" your worth. Susan Weiner, MS, RDN, CDE, CDN, is the owner of Susan Weiner Nutrition, PLLC, located in New York. She has been elected to serve as a Director, on the American Association of Diabetes Educators (AADE) Board of Directors beginning January, 2018. She was named the 2015 AADE Diabetes Educator of the Year and is the recipient of the 2016 Dare to Dream award from the Diabetes Research Institute Foundation. Susan is the Diabetes in Real Life column editor for Endocrine Today. She is also the co-author of The Complete Diabetes Organizer: Your Guide to a Less Stressful and More Manageable Diabetes Life and Diabetes: 365 Tips for Living Well. 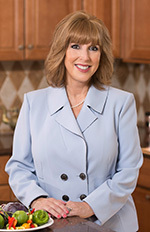 In addition, Susan served as the 2015-2016 editor for On the Cutting Edge, a peer reviewed publication for the Diabetes Care and Education group of the Academy of Nutrition and Dietetics. Susan is the 2017 co-chair of the Advanced Practice Communities of Interest of the American Association of Diabetes Educators. She is also a medical advisor for several high-profile health websites, including Healthline.com and On Track Diabetes. Susan earned her Master's Degree in Applied Physiology and Nutrition from Columbia University. She also earned a certificate of training in "Adult Weight Management" through the Academy of Nutrition and Dietetics. Susan Weiner, MS, RDN, CDE, CDN, has no relevant disclosures to report. She has certified that no conflict of interest exists for this program. View our disclosure policy.